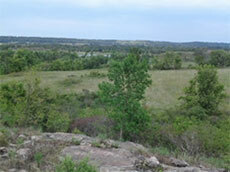 The Minnesota River Valley in Renville and Redwood counties was carved into the landscape by the ancient River Warren. Today’s landscape was shaped by Native American communities, European immigrant settlers and others. The valley is widely recognized for its rich diversity of natural, cultural and historical resources which would greatly benefit from increased interpretation and conservation. 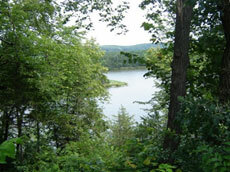 The vision of this planning effort is a shared landscape that respects the cultural and agricultural heritage in the area while conserving unique and sensitive natural resources; all while providing increased recreational opportunities. The Department of Natural Resources (DNR) has worked with partners in the upper Minnesota River area since 2009 to identify conservation and recreation management concepts that will meet a variety of interests. Those interests include the changing needs of outdoor recreationists, quality wildlife habitat in the Minnesota River Valley area, and the many sensitive animals and plant communities. A key goal is to continue respecting private property rights while supporting diverse local economies and healthy human communities. Citizens, local governments, and nonprofits work together to build a shared landscape approach to outdoor recreation and conservation in the valley. 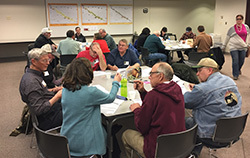 In 2013, The Minnesota River Valley Citizen’s Advisory Committee report formalized a number of recommendations, including developing a plan for the area that involves local stakeholders. In 2014, the legislature directed the DNR to develop a master plan. See 2014 MN Session Law, Chapter290-H.F. No.2852, Sec. 65. In 2017, the DNR collaborated with Renville and Redwood counties to complete a master plan for the area 2 miles either side of the Minnesota River. DNR and the counties formally adopted this master plan in 2018. Implementation strategies identified in the plan include exploring options for a new State Recreation Area (SRA) in the valley. Valley view from Cedar Rock WMA looking east. An online or paper survey to explore preferences for allowed recreation uses and preferred educational themes in a potential SRA. Take the short online survey. Survey closes September 30, 2018 and takes approximately 15 minutes to read the FAQ and take the survey. If you prefer a paper copy of the survey, call – 507-359-6000 and leave your name and complete mailing address. An Open House in the Redwood Falls Area – date yet to be determined. 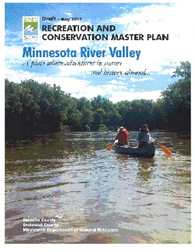 A 30-day public review period for the Minnesota River Valley Recreation and Conservation Master Plan was held May 8 to June 8, 2017, with an open house on June 8, 2017. Thanks to all the individuals, organizations, agencies, and elected officials who have contributed to development and review of this master plan. The Redwood and Renville county portion of this master plan project received funding provided by the Minnesota Environment and Natural Resources Trust Fund as recommended by the Legislative-Citizen Commission on Minnesota Resources (LCCMR) through a grant to Renville and Redwood counties. Public Comment Period Summary Report can be found at http://www.mnrivervalleymasterplan.org/master-plan in the appendix list. Now that the state and counties have approved the master plan, the next step is implementing strategies identified in the plan. Redwood and Renville counties took an important first step in convening an advisory board for the project. The DNR is exploring a State Recreation Area designation to add a tool that will increase recreation opportunity and accessibility. Other designations through the counties can add importance and raise awareness for the project. Communities will need to secure project funding through a combination of state and local funds, and private contributions. Now the rewarding work begins as local communities join together, supported by various organizations and agencies, to bring the vision they created to realization. This will take some time and effort, but will reap benefits for many generations of local residents.